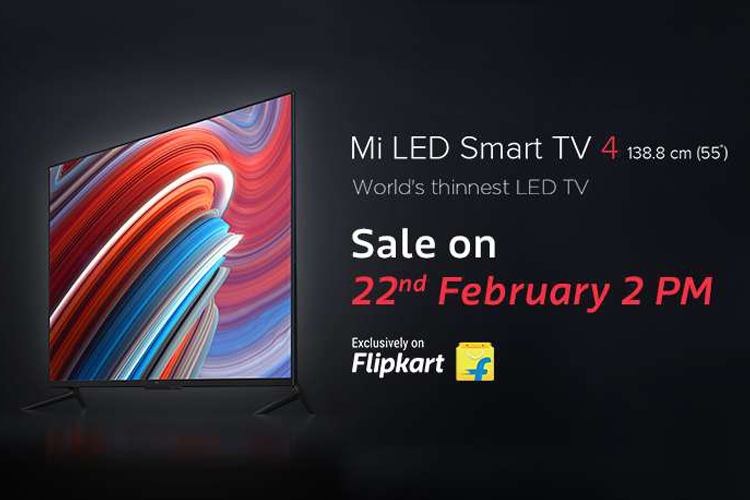 Earlier this week, Xiaomi launched the Mi TV 4 in India to huge hype. We cannot remember the last time a TV created so much buzz around social media; this fervor is usually reserved for Xiaomi’s phones. 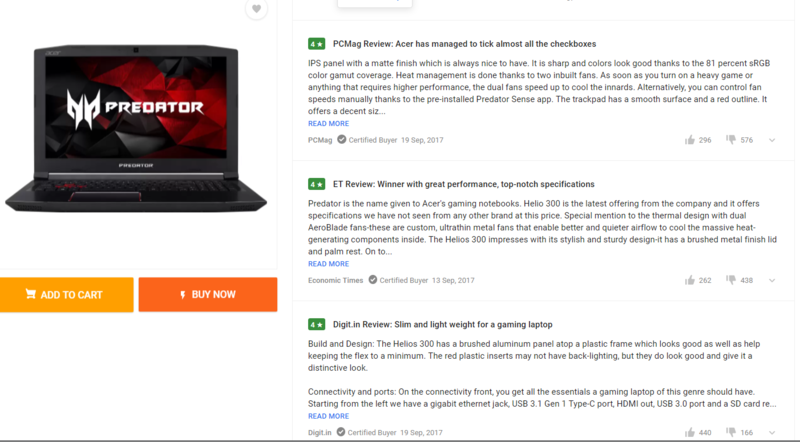 But curiously, despite the hype, we came across some misleading reviews on Flipkart’s page for the TV, after a Reddit post highlighted them. The reviews were from well-known Indian publications and all of them had 5 Stars. In addition, they also had a misleading ‘Certified Buyer’ tag, which was subsequently removed by Flipkart, after it was highlighted. In their response, Xiaomi’s in-house PR team told Beebom on Thursday, February 22, that placing the reviews was Flipkart’s call. However, that didn’t end the story. The Reddit post that showed us these reviews first asked in the title, “Can you trust these reviews?”. The answer is perhaps, not. The next day i.e Friday, February 23, Sameer Mitha, Assistant Editor of Digit.in, one of the publications whose review was used, contacted Beebom. Mitha told us Flipkart had not acquired written permission before using the text and content from Digit. He further added that the content in question came from a ‘First Impressions’ piece on the Mi TV, which can be seen here. 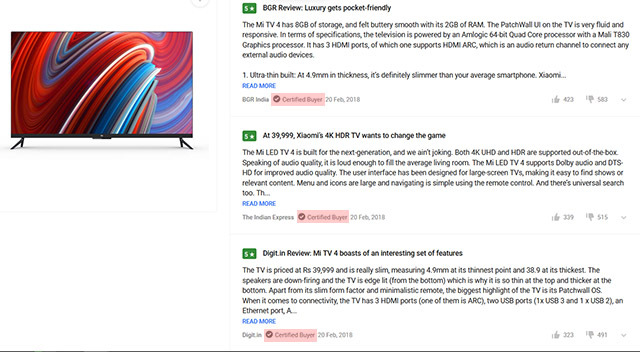 As is evident, even though the original piece has no review score, Flipkart had mentioned it as a 5-Star review as shown in this screenshot from February 22. He further added that Flipkart refused to use the final review, which had a score of 80 / 100, and was also not a 5-Star review. That’s when Digit.in urged the company to remove their domain name and the copyrighted content that Flipkart had used. It must be noted that the listing no longer has the offending reviews. While using small bits of content without permission and credit (albeit a passing mention) is acceptable, Flipkart had not linked back to the original article. The fact that Flipkart added its own 5-Star rating clearly proves these reviews were fabricated, and scores made up. In addition, other products on Flipkart also have such misleading reviews. When contacted for a response to Digit’s statement, Flipkart told us the following. The review exercise was initiated by Xiaomi. Flipkart was given few reviews to be posted on the product page. These are not paid/sponsored reviews, therefore. We have taken down the review from our website as we realise it was only first impression of the product and not a thorough review. We agree the review should have not gone under a Certified Buyer Tag but a Tech Expert Tag which was not available on Flipkart. The first line of the response definitely complicates matters for Xiaomi, who had claimed to us on February 22, the launch day, that it was Flipkart’s decision to put the reviews up. Of course, this doesn’t immediately mean that Xiaomi’s PR team had misinformed us in their statement – the decision to collude for fake reviews could have been taken at a higher-level outside the PR team. However, it does call into question some ethics surrounding Xiaomi’s launches. Despite numerous attempts to reach Xiaomi’s PR team on Friday, there was no response till today morning. We are still awaiting their statement about Flipkart’s comments, and will be updating the article as soon as we get it. Editor’s Note: The Flipkart spokesperson stressed that the statement was for clarification only and cannot be attributed to Flipkart, though no off-the-record agreement had been reached by both parties before the conversation began. In light of this, we decided to publish the above reply verbatim from the email conversation with Flipkart spokesperson.